If you are a car importer check the reasons why other importers have added the EngineTronic performance solutions to their product portfolio. Engine power is an important factor for your customers when they decide to buy a car. Even non-technical people can feel the difference. A performance upgrade improves your competitive position and can make the difference between achieving sales goals and falling behind. A wider product range attracts more potential buyers. Special series sell even better when they include additional power. Whether it’s a higher powered version, a lower powered one for tax reasons or an environmental friendly version, our products give your customers a wider variety to choose from. So they increase your sales opportunities. Our products are designed to improve drivability. A slightly wider power band can do miracles to drivers’ perception of how their car performs. In this market, power matters. You’d be surprised how many vehicle owners are unhappy with the power of the car they’re driving. Many corporate car drivers have limited budgets. 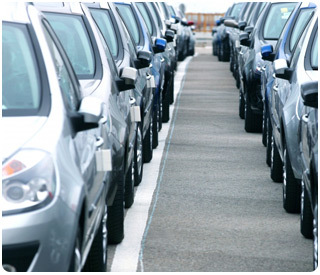 Corporate policies or car leasing arrangements leave them with underpowered cars. Many of them are looking for ways to increase engine performance. The demand is clearly there. Market surveys show that more owners and drivers will buy the product when it is supported by their dealer. This is a great sales opportunity! The demand to increase power is there — among new as well as used car buyers — and it will grow with the current trend towards downsizing. Why leave this business to the after-market when you can make money from it yourself? Adding a performance enhancement module makes selling easier. It increases your revenues on the sale AND improves your chances of making a sale in the first place. Most after-market engine enhancement kits can be removed without a trace. That’s exactly what happens when a problem occurs. Leaving you, the manufacturer, with a warranty claim caused by inferior after-market products. Offering an alternative yourself eliminates this risk. Surveys have shown that buyers prefer to purchase OEM engine enhancements when these are available. Our products are tailored to the each vehicle’s specifications. This — combined with an elaborate testing programme — minimizes the chances of damage to the engine or drive train. Some manufacturers offer the option of upgrading motor management software. This usually means removing the ECU and sending it to the importer or a 3rd party. Although this might look such as a nice business at first, the logistic hassle — plus leaving the customer without his vehicle for some days — is a major disadvantage. Our solutions are plug & play. A typical installation can be done in 30 minutes flat.